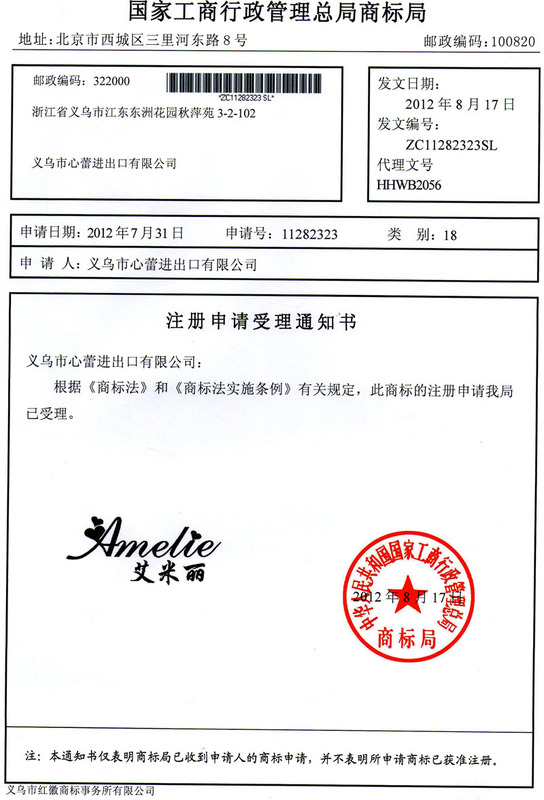 Company Overview - Yiwu Amelie Import And Export Co., Ltd.
8YRSYiwu Amelie Import And Export Co., Ltd.
Any interests pls kindly Contact Ms Kitty by Tel.+86-013516931267Amelie Wedding Favors LimitedYiwu Amelie Wedding Umbrella Co.,LtdYiwu Amelie Import and Export Co.,LtdOur company is professional in matching life with nice craft parasols, in guiding life with fashion, and in enjoying life with creation and wishing ideas.Recognized as one of China's top suppliers of wedding decorations, Our company has been engaged in wedding products for over 7 years. Our company knows well that a wedding day stands among the most important occasions a couple can experience in their lifetime and we cherish the great honour and responsibility that come along with this. Even we are as a manufacturer & exporting team directly cooperating with clients (wholesaler or retailer or personal wedding), we offer good quality products, nice packing with personalized customization, and perfect service to orchestrate this momentous event to the finest detail, ultimately expressing the personal style and signature of the couple.Our company is specialized in high quality wedding lace umbrellas, battenburg lace parasols, craft umbrellas, and lace fans. We are professional in the personalized wedding dresses and all kinds of wedding decorations, wedding sets, wedding accessories, wedding white flower balls, tiaras, jewellery, crystals, etc.With years of experience in wedding products, we have strong sourcing capability, a stable control system and timely product delivery to fulfill our customers' demands. Our goal is to be a top wedding product supplier that fulfills each essential need of a wedding, and all wedding related favors.Our company is located in the World Biggest Commodity Market in Yiwu City of China, which is the famous for millions of commodities, as the paradise of purchaser. We are also specialized in export services and sourcing services of all products for our customers. We will be your agent and be your friend in China with sincerity. 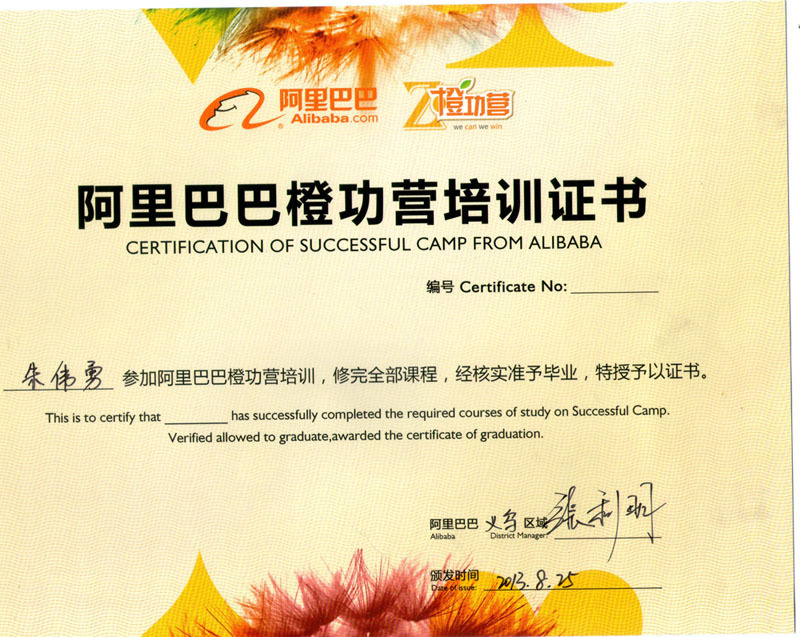 This is to certify that WEI YONG ZHU(kevin) has successfully completed the required courses of study on Successful Camp.Verified allowed to graduate,awarded the certficate of Graduation.